Studied Cartography and Remote Sensing at the Faculty of Geography, Gajah Mada University. Worked for the government led Klinik Lingkungan dan Mitigasi Bencana (KLMB) Faculty of Geography, UGM as GIS operator and surveyor for Disaster Mitigation, particularly within the Mount Merapi region, Yogyakarta from 2010 to 2011. 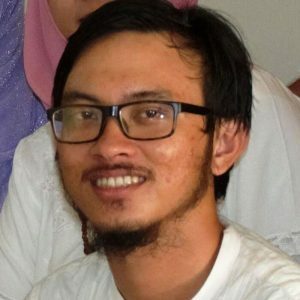 Worked at PUSPIC UGM – Bakosurtanal as GIS and Remote Sensing Trainer for PT SMART, Bangka Belitung National University academic staff and Bengkalis regional government throughout 2011 and 2012, also as a mapping and GIS consultant in several forestry projects during the same years.